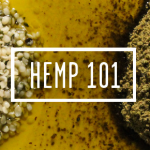 North American Hemp & Grain Co. is a vertically integrated between the Canadian Farmers. We are a complete supply & service provided for Grain Processors, oil mill and service providers to reach the market place with our organic and natural, non-GMO seed & grain ingredients. Ingredient Direct Farmer To Wholesale Supply: Both Certified Organic and non-Organic, GMO free Hemp & Grain Ingredients from our Canadian Agriculture Farms. Co-packing & Processing: Capable of high speed packaging of hemp seed, and other oilseeds and dry hemp ingredients. Bottling in high speed both glass and HDPE plastic supply in varies sizes from 250ml to barrels, pails and bladder. Our hempseed oil is cold filtered pressed with removal of sediments larger than 3 microns, nitrogen purged/sparged. And stored in refrigeration low light conditions. Nutritional profiling: Individual labels printed at time of each production run with lot #, date and best before info. Testing & Analysis raw material ingredient: We test each lot prior to dehulling, pressing for oilseed and removing the outer shell. Our testing provides a Certificate of Analysis; plate count, mold/yeast, moisture, and other tests also included upon guidelines.